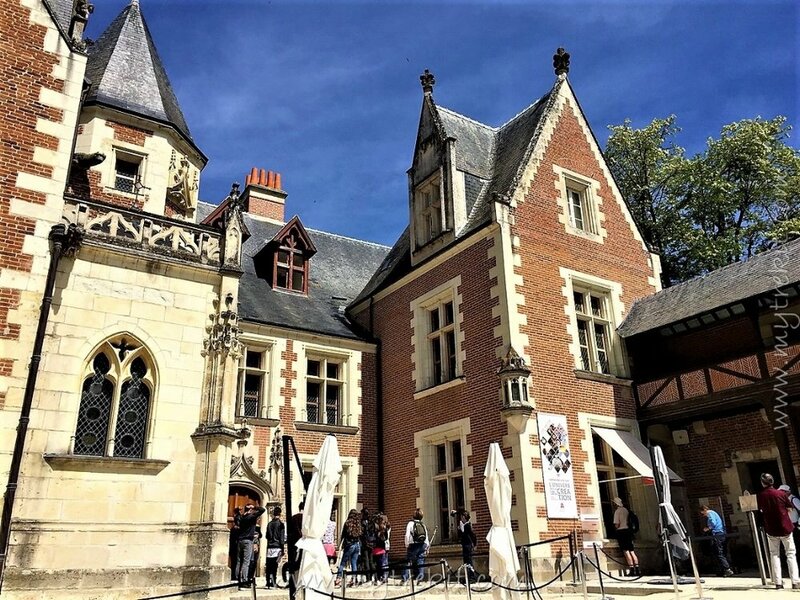 Guests take in the architecture at the Clos Lucé in Amboise, France. 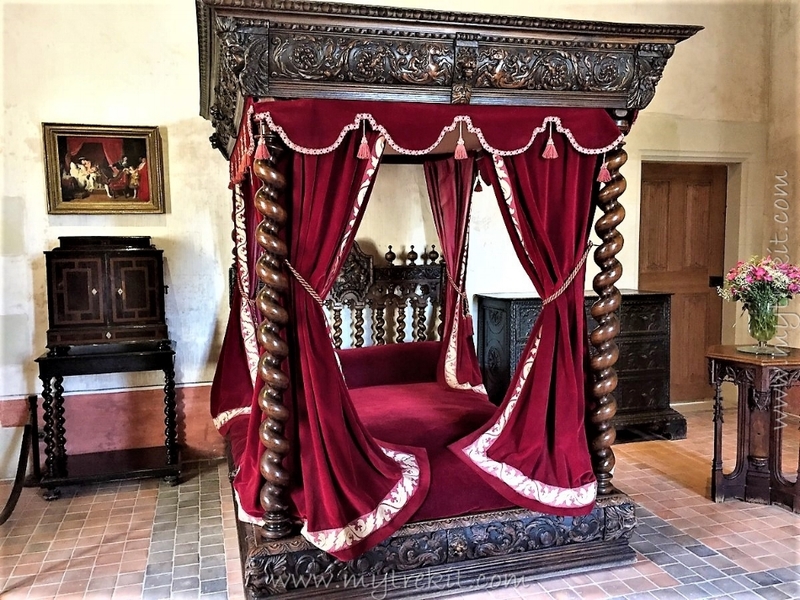 Nestled in the town of Amboise, France, a true Renaissance time capsule exists for all ages to discover and explore. 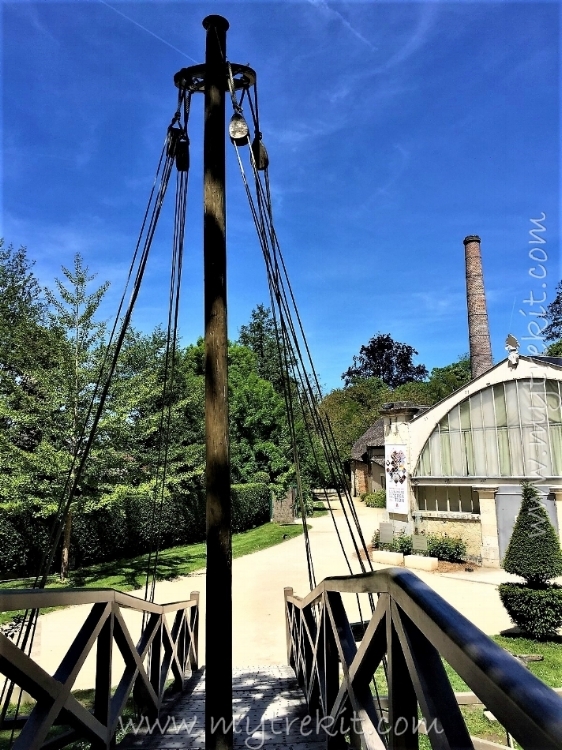 The Clos Lucé is dedicated to all things Leonardo Da Vinci. A large completed research and restoration project brings it all to life, thanks to the dedication and care of the Saint Bris Family. But wait, how is this possible, given that Da Vinci was an Italian master? What was he doing in France? The answer: The French king, François I, took the advice of his equally brilliant sister, Marguerite of Navarre, and invited Leonardo Da Vinci to reside close to the French court. One of my favorite features: a holographic presentation of 'Leonardo' talking about the Mona Lisa. Welcoming the Italian virtuoso, François said, ‘Here you will be free to dream, to think, and to work.’ And Leonardo did. After his long journey crossing the Alps while riding a mule, he completed three very famous and important pieces of art during his days in France: The Mona Lisa, The Virgin and Child with Saint Anne, and Saint John the Baptist. The manor house is enriched with the science, engineering, architecture, landscaping and artistry of Da Vinci’s mastermind. Various sized models of Da Vinci's innovative ideas and inventions are displayed. A video screen in the background demonstrates the different components of Leonardo's mechanical ingenuity. A reflection of Leonardo's fascination with the concept of flight. The gorgeous Italian-style gardens at Clos Lucé. Far in the background is the steeple of St. Hubert's Chapel, where Da Vinci is said to be laid to rest, on the grounds of Chateau d'Amboise. Stroll through the relaxing gardens and tree-lined park to manipulate Da Vinci's inventions with your own hands. Hop into one of Da Vinci's tank inventions and revolve it 360 degrees. 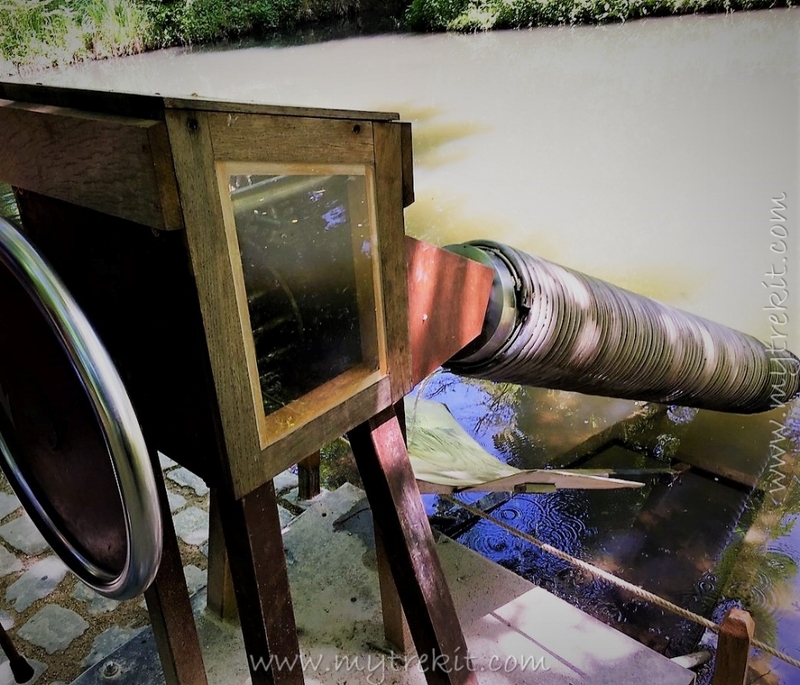 If you are looking for something to occupy the kids, the estate is an excellent educational and fun children’s attraction in France. It is just as fascinating for the adults. In fact, visiting Clos Lucé was one of the highlights of my time in France. Large-scale replicas of Da Vinci's bridge designs. Strolling through the park-like setting will lead you to encounter a few of these translucent canvasses with Leonardo's subjects' faces. 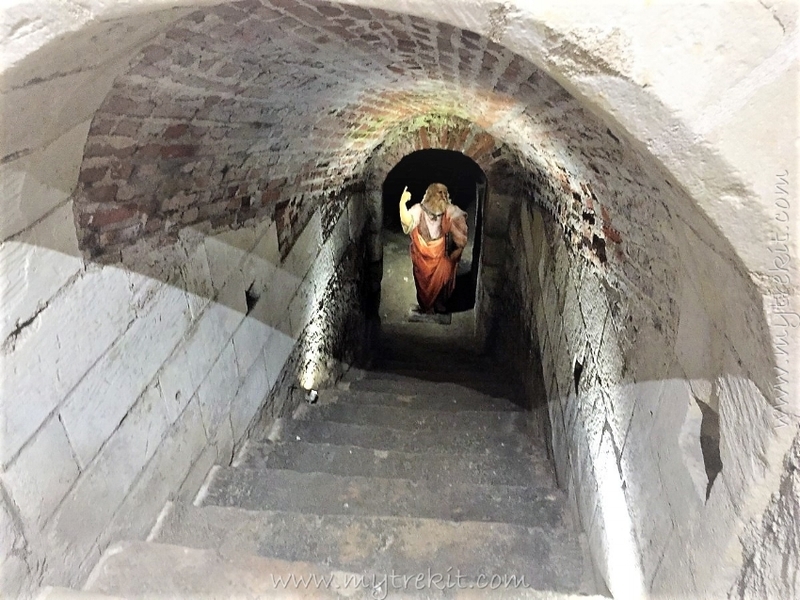 Be sure to check the Clos Lucé website here for the dates/times set aside for special tours of the underground tunnel that runs from the house to the Royal Chateau d’Amboise here . 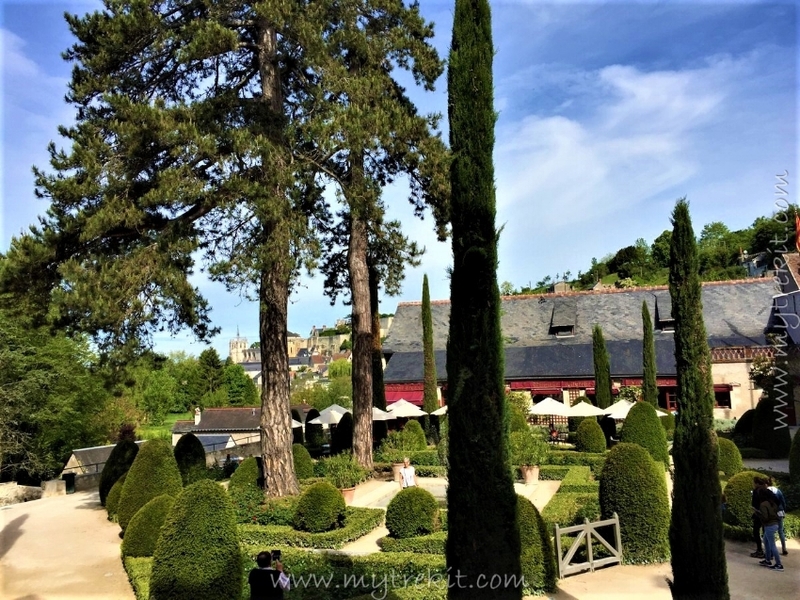 What I loved about the Clos Lucé: Everything!! Each component of the estate is 'just right' in size and scale. It's not too immense, and not too small. The extra feature on Marguerite of Navarre was a bonus for me, as she was an unsung hero and female intellect of her time. Each of the exhibits are well-organized and easy to view and read. There are presentations to please all types of learners: visual, auditory and tactile. The Chateau exudes a cozy, warm, and welcoming atmosphere where I could live or work until the day I die...just like Leonardo, himself. King François used this private passageway to frequently visit the man he devotedly called ‘my Father’. Da Vinci was able to accomplish much in the final three years of his life at Clos Lucé. The year 2019, will mark 500 years since the passing of Leonardo's life here at Clos Lucé. After observing and operating some of his brilliant inventions in person there, it is truly a wonder that this extraordinary individual lived and died five centuries ago. A visionary for the ages. Da Vinci's bedroom with a painting depicting the King comforting Leonardo during his final hours. 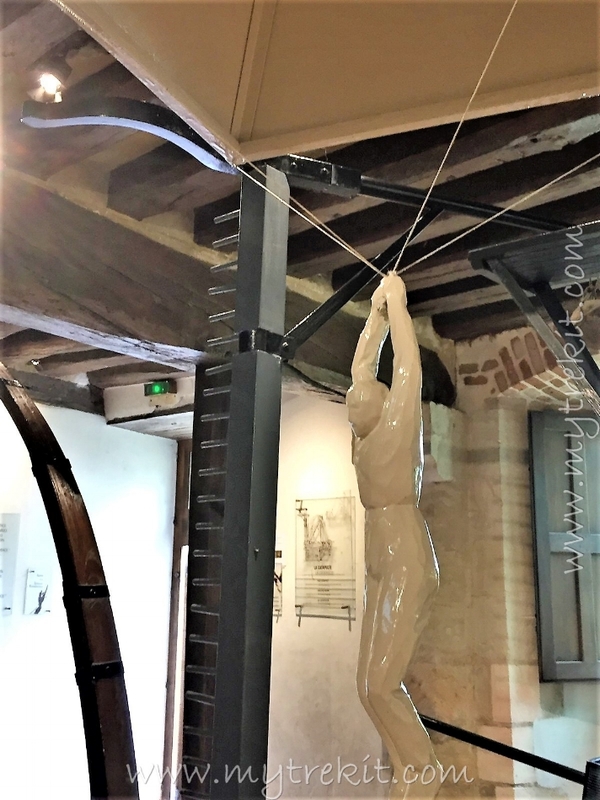 *If you want to see and connect more with Da Vinci’s life and his ingenuity while in France, be sure to check out my three-part Chateau Trifecta blog posts here and here. 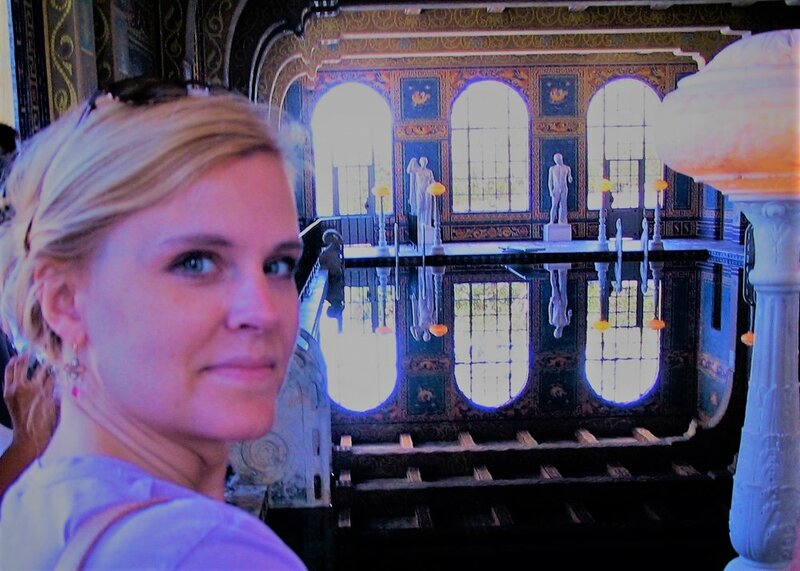 Traveler, Tour Director, Anglophile, and Teacher Traveling is a passion I can't get enough of. This blog was created after receiving numerous requests for travel planning advice. It is intended to present common sense solutions for your travel needs, with some history, culture, and coffee thrown in. I hope it helps you on your journey. Respect. This is a place for respect, you should give it and expect to receive it when providing comments and/or feedback of any type. The same can be said about Kindness, with a capital ‘K’. Be kind and treat others the way you wish to be treated.